Sending materials off to a recycling facility seems simple enough, but classifying what your material is and how to get it through to the proper channels is the real difficulty. 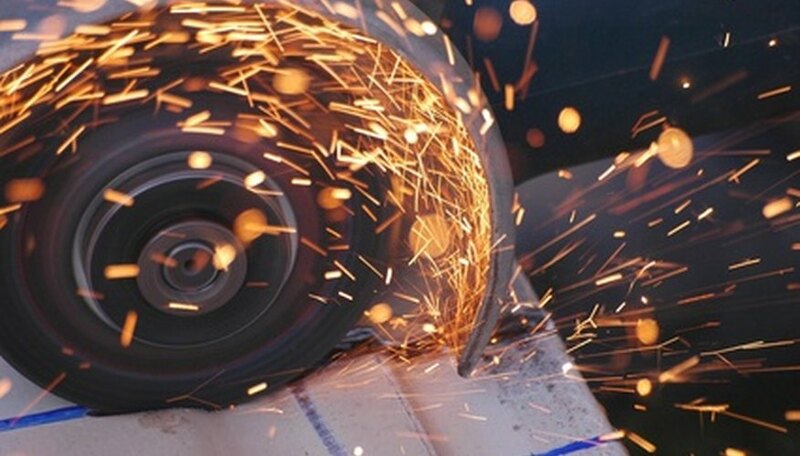 In the case of abrasive grinding wheels, the grit material is typically either aluminum oxide or silicon carbide. This classifies grinding wheels as metals and during the recycling process they are treated in the same fashion as other more common metals. Make plans in advance with a scrap metal recycling agency to either receive or pick up your grinding wheels. One such service is American Metal Recycling, Inc (see Reference 2). A directory for scrap metal recycling services can also be found at Scrapspot.com. Call the company that the wheels were purchased from or check the packaging to determine what the chemical makeup of your grinding wheels is. Once a determination is made as to what exactly your abrasive grinding wheels are made out of, your particular agency may offer to purchase them as scrap metal. Gather your grinding wheels together. Package them neatly and prepare for them to be either shipped out or dropped off. Get a shipping quote or transport yourself and your grinding wheels to the recycling facility. Complete the transaction. Either you will be paid for your grinding wheels and they will be recycled, or your grinding wheels will just be recycled. Your grinding wheels will be compacted, turned into true scrap metal and sold. They will then be recycled, and used for other applications. Georgia Grinding Wheel: Grinding Wheel and Abrasive Basics.